an audio snippet of the song "my retribution" from Scar The Martyr, the new band led by Slipknot drummer joey jordison, can be streamed at ScarTheMartyr.com. the self-titled debut album from Scar The Martyr will be released on october 1 via roadrunner records. 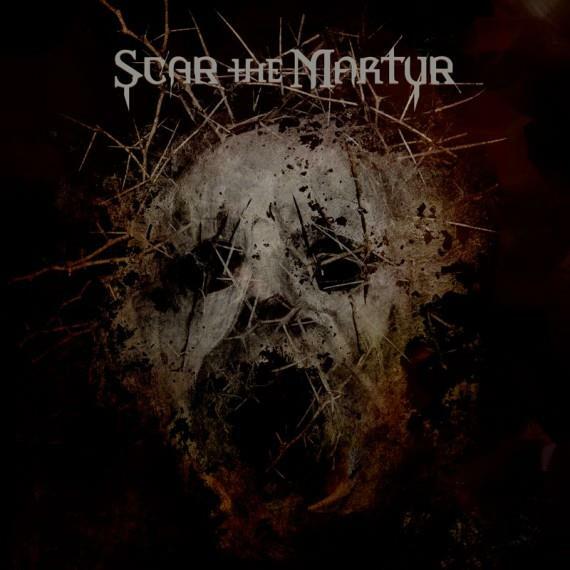 recorded at sound farm studios in des moines, iowa, Scar The Martyr's Cd was helmed by rhys fulber, whose production and mixing credits include Fear Factory, Rob Zombie, Mindless Self Indulgence, Front Line Assembly and more. the album was written by joey and lead vocalist henry derek bonner (Blood Promise), and joining them in the studio were keyboardist chris vrenna (Nine Inch Nails), as well as simon and norris, who collectively handled all lead guitars on the album. Scar The Martyr filmed a music video to accompany the Cd's lead single, "blood host", which can be streamed using the SoundCloud widget below. Scar The Martyr is currently on the road as the support act for Danzig on a north american tour which also includes performances by former Misfits guitarist doyle wolfgang von frankenstein and Huntress. the trek kicked off august 9 at sound academy in toronto, ontario, canada and will wrap up on august 31 at tempe, arizona's marquee theatre. in addition to jordison, Scar The Martyr's lineup for the tour features singer henry derek bonner (Blood Promise), guitarists jed simon (Strapping Young Lad) and kris norris (Darkest Hour), keyboardist joey blush and bassist kyle konkiel (In This Moment).